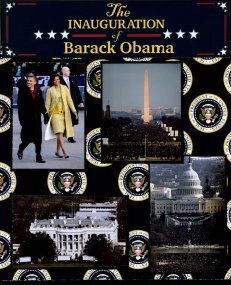 My Obama Inauguration Scrapbook is mine, but I had to depend on the photos of others to do my layouts and I have tried to credit each for their photo contributions to my pages. The links to those photos are posted below the layouts in which they appear. 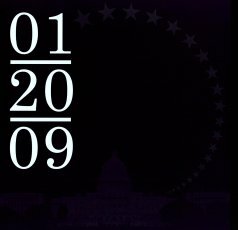 While I was not fortunate enough to have been able to go to the Inauguration myself and I was quite envious of one of my co-workers who did go. 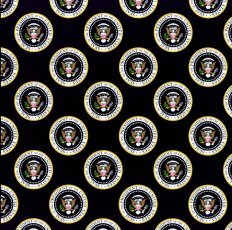 I did feel that this historic occasion needed to have it's own Obama Inauguration Layouts to remember the occasion. 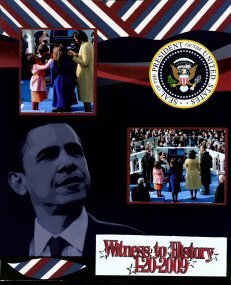 All of the purchased items for these Obama Inauguration Scrapbook are 12 x 12 scrapbook papers and specially made die cuts that I purchased from Scrap Your Trip.com. Since these papers are 12 x 12 and the scrapbook that I put them in is 12 x 15, I needed to add borders on either the top, bottom or both, to make them fit the taller format. For this first set of layouts, I made a red, white and blue border with scraps of paper I had left over. This border uses a pattern fashioned after the Bargello Needlepoint patterns. Here's the Tutorial on the Bargello Scrapbook Embellishments. The die cut on the right side was made in 3 parts of red, white and blue card stock and cost $3.50. The photos of the DC Crowds and the Ticket for the Inauguration Ceremonies were taken by Eddie Codel (Ekai) and purchased from Flicker.com at Obama Inauguration. 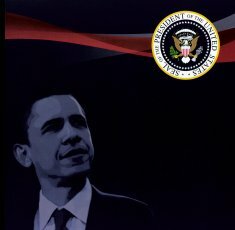 The photo of the Search Lights was taken by AnyaLogic and purchased from Flicker.com entitled "Paging Mr. Obama". The photos on the right page of Obama family were take by C. Buckley and posted on Flickr.com at Obama Family Inauguration Photos. 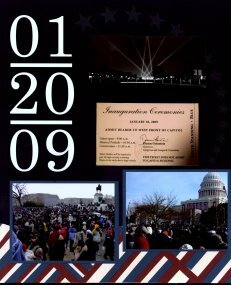 For this next set of layouts for the Obama Inauguration Scrapbook, on the left, I used the "Inauguration of Barack Obama" Die Cut from Scrap Your Trip to make the border from the 12 x 12 paper to extend it to 15 inches tall. The Die Cut is cut from 4 sheets of card stock and was $6.50. On the right side, I put 2 photos side by side to cover the break in the paper where I cut it and added a 3 inch strip of plain black paper to extend it to 15 inches tall. These are just some of the tricks I have come up with from many years of scrapping in 12 x 15 page books. While I like the fact that 12 x 15 inch books give me a lot more Real Estate to put my photos on, they always require more creativity to "stretch" the 12 x 12 paper to 12 x 15 inches. The photos on the left were purchased from Flickr from a photo set posted by C. Buckley and can be found at Obamas & DC during inauguration. The photo on the bottom left was purchased from Flickr from a photo set posted by USA Today in a photo set that can be found at White House Moving Day. The photos on the right were purchased from Flickr from a photo set posted by the Army.mil and can be found at Commander in Chief's Inauguration Ball. Here are the papers from Scrap Your Trip before I used them for these layouts. 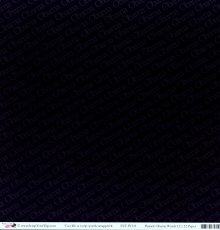 The paper on the left has the Presidential Seal through-out and the paper on the right is a very dark blue with "Obama" written across the page in a dark grey, but does not show up very well in these photos. I picked up these papers at Scrap Your Trip.com where the items are available for sale and even a few more layouts ideas.